The factory which includes the most modern and complete production equipment, storage capacity, quality control system and advanced technology is situated in South West of Tehran (Ahmad Abad Mostofi District) on a 150,000 m2 plot. The factory itself occupies 100,000 m2 of built land. Electrogen with 1500 employees is the leading manufacturer of over 50 different types of industrial and household electrical motors, such as various types of air-conditioner and washing machine electrical motors, water-cooler pumps, and various types of gas and oil burners in Iran. Products of Electrogen are in the range of 0.05 to 45 kw and conform to international dimensions and standards. The combination of the stock holders of the company has remained unchanged during the past 10 years,all feeling obliged to inject the required investment to this manufacturing firm.As a result, the factory has been moved to a bigger area in west south of Tehran (Ahmad Abad Mostofi). Retaining the previous area, the present area is located on a 50.000 square meter plot. The factory itself occupies 20.000 square meter of land. 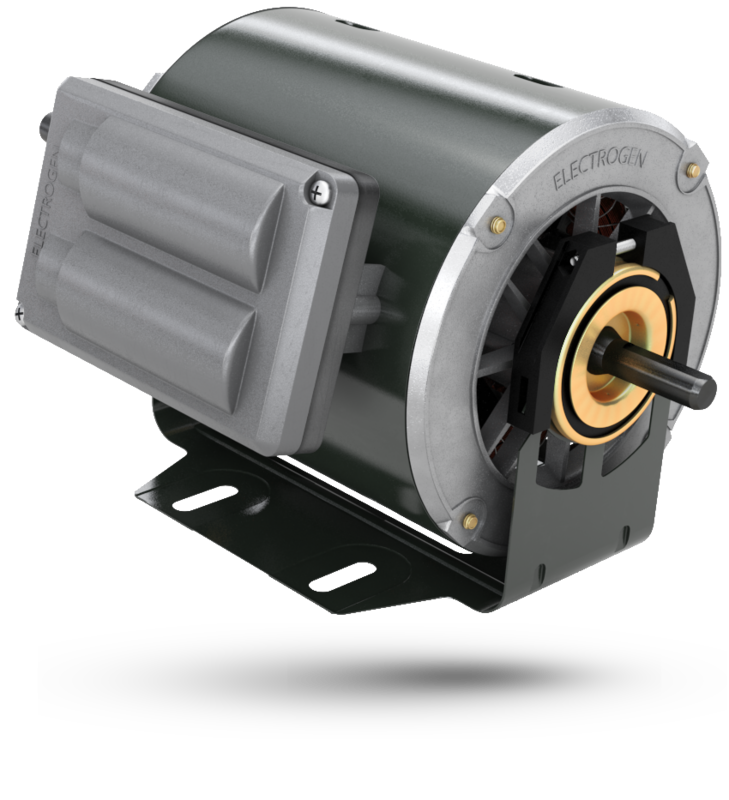 Electrogen with 1500 personnel manufactures over 50 different kinds of air-conditioner and washing machine electrical motors, water-cooler pumps, axial fans (ventilation motors) and various kinds of gas and oil burners. Founders of Electrogen are proud to install a manufacturing factory being capable of producing the required electrical motors of the country under the license of big European companies such as Sole (Italy) and Hanning (Germany) by internal raw materials and minimum of dependence to foreign countries, saving millions of Dollars in the economy of the country. As the biggest producer of electrical motors in Iran, we hope to quest the import market of neighboring and many other far countries. What's the Electrogen Story ? A trading company by the name of “Zhan Light co.” was established for the purpose of importing and exporting electrical and electronic household, industrial and manufacturing equipments. With regards to the existing needs of the country at that time, the necessity of breaking off dependence to foreign countries and job creation, the stock holders of the company decided to change the working policy of the company from a trading company to a manufacturing company. The name of the company changed into “Iran Cooling Industries Co.” aiming to manufacture different types of refrigerators and freezers. The great number of similar existing companies, limited number of manufacturers of electrical motors in Iran and the potential need for importing such products to the country suggested a fundamental change towards the production policy of the company. The company's new articles of association in 1991 indicated a new name as “ELECTROGEN ” aiming to manufacture different types of Fractional Electrical Motors. At this time the factory was located in Shorabad area of southern Tehran, in an area of 1000 square meter of land with 20 employees. The first products included different types of electrical motors for washing machines and air-conditioners. Production of water-cooler pumps brought about a considerable leap in the production circulation. Consequently, several equipped production machinery were bought from Germany to expand the production domain. Regardingly, the factory moved to a bigger area (50.000 square meter of plot) and the number of employees has now reached to 1500. Since moving to the new address the company quickly expanded to become the largest producer of water pumps and electrical motors in Iran. The Board of Directors put a lot of emphasis on the quality of Electrogen products and soon Electrogen Motors became the most efficient motors produced in Iran. Electrogen sets up one of the largest Research and Development Centre for Electromotors in Iran and collaborates with the most prestigious universities. The company grew so rapidly that it occupies all the land and it had to acquire another 100,000 m2 of land next door to the current position of the factory in order to be able to carry out all its projects. The company plans to expand its production range and capacity. Electrogen wants to move to the world market and start operating on a larger scale.